Entry filed under: environment, recycling, sustainable, waste. That was fantastic! I have definitely been part of the “when in doubt recycle” party. I’ll pay more attention now. I don’t want my good recyclables thrown out because I’m lazy! Thanks! This is so depressing. But important to know, I guess. A few years ago, I contacted the city’s recycling facility where I lived to see if I could check it out and they were kind enough to let me join a tour with school children. It was an eye-opening experience. The facility was mixed stream and employed hand, shaking, and magnetic sorting. After seeing the speed of the conveyor belts that passed by the hand-sorters, I realized how quickly they have to make sorting decisions. Thanks for providing some good recycling guidelines that may make their jobs a bit easier! ritesofpassage- guess that’s why the ‘powers that be’ don’t tell you this stuff when they ask you to recycle. Chile- That reminds me, if any of you have the chance to take a tour to a recycling plant, I strongly recommend it. It’s awesome! You do get out of there with a new insight! Thank you so much. I think I am going to print this out (on the back of an old sheet of paper) and post it on the fridge. We have a gal renting out a room from us and she is eager to learn about recycling, but utterly clueless. You put it in very simple terms. I really appreciate your blog. This was in my opinion your best post thus far. Actually I have a question for you. At work everyone uses paper towels to dry there hands (AHHH, I know). We are a very small office, but the paper still adds up. No one is willing to switch to cloth towels. Can we recycle the paper towels if they were just used to dry off wet hands? We are an environmental company, yet it’s ironic we all use paper towel to dry our hands everyday. Thanks greenchick, what a nice compliment! About your question, in theory I think the towels could be recycled, if it wasn’t for the little problem I was talking about in the post. It depends on who collects the trash from your office. If you have some kind of special collection for offices or businesses, then you can talk to them about special collection for the towels to make sure they get recycled. I know they do that here in the Netherlands, but here businesses have to hire their own collection services. If it’s the city’s general collection, I would say the chances are pretty slim, although you can still try to talk to them about it. 4. What about broken window (or picture frame) glass? I’ve heard this can’t be put in either? True? I KNEW I’d have another question! 😉 What about the plastic bags from cereal boxes? Or the bags with the “ziploc” type zipper that you can get with everything from pet foods to organic sugar? Just found your site. This is fantastic! Have you posted on cloth v. disposable diapers? Some folks say enviro-friendly disposable beats out cloth and I want to know! Emily, from all that I’ve read, I think scientific concensus is that it’s a draw. One is no better or worse than the other; they are just both necessary evils (unless you want to do the whole “elimination communication” thing). One uses landfill space & other resources, the other uses mega-water & other resources. And bread & chip bags? What about those? Alina, come back! I’m dying with all these unanswered questions! Thanks, Lori. What I had read called it a draw, too, but I am such a scientific moron that I wanted to know what people who understand enviromental sciences are saying. I’ve been happiest with the environmentally friendly disposables, but I liked cloth, too. Emily, I have to say, diapers are a little bit out of my department 😀 Fortunately, seems like Lori is a little more knowledgeable of them. Hi, Alina. I knew I’d have more questions. My local authority has us putting our recycling in plastic bags provided for the purpose. (They claim the bags themselves are recycled, but it seems odd to me to not just use shopping bags or reusable bins like all the places I lived in the US.) They have us putting ALL recycling mixed in together — so paper, plastic, cardboard, glass, you name it all goes together in these bags. It seems highly suspect to me. Are they even recycling it? Wouldn’t the paper get dirty or wet from the other items that had food and were then rinsed out? Have you any idea how this would be an effective way to collect recycling? If they are just tossing it all on a landfill, I’d like to know so I can explore other options. Thanks! Emily, that’s a good question. But I want to reassure you. It’s not good policy for local authorities to ‘pretend’ they recycle and they know it. They wouldn’t bother spending their personal, time and money resources in separate collection and promotion if they weren’t going to recycle the stuff. The fact that they do it in just one bag is probably because they think they will get more materials like that, and because it’s cheaper to collect that way. That just means they have to invest more in sorting. It’s just another way of doing it. Weather it’s more or less efficient is another matter. I think they most probably are using automated technology to separate the different materials. For example, they use magnets to remove iron cans and there are technologies that separate the heavier materials like glass from the lighter materials like paper and plastic. It’s actually not so hard to separate glass, paper and plastic mechanically. You can also check the Earth 911 website to see how you can recycle specific things in your area, like motor oil or CFLs. I hope my answer left you more motivated to recycle from now on. Just be sure to follow the ‘grease’ rule 😉 and I don’t think it matters if paper gets wet, as long as it’s just water. Hi Alina, This is an excellent write-up! I am going to forward it to my roomate who introduced me to recycling 😛 She is going to love this. Thank you! I’m glad to see that someone else out there is as crazy as me when it comes to recycling! You should see my green bin on thursday mornings…. it’s overflowing. Long live the closet environmentalists!! I SOOO want to read this trash thesis of yours!! You desrve a big pat on the back but you would think that a bit of prep at home before recycling would be obvious if one was serious? Outstanding information, all true, and typically VERY hard to find. Yah, it seems depressing at times- but it’s SO important that we base our actions on REALITY, rather than fantasy. And, there are a bunch of folks out there who kind of think “hey, I do MY part, I always dump everything in the recycling bins!” – who use that as an excuse to drive their SUV (metaphorically speaking). Maybe getting this info more widely understood can help get them thinking. The material is totally inert and can be made into many product applications. Why would anybody who has studied about waste not email me to know more about the process.?? It is the system and method to drought proof a country and along with it zero pollution. just think NO LANDFILLS !! please just give me some feed back on this comment as i would appreciate it. Sorry if I missed it and someone else mentioned it..
What about plasma gasification? I heard they’re building a plant in my state (Florida), with plans, when it’s fully operational, to ‘mine’ the local landfill and get rid of it in about 20 years. At a rate of several thousand tons a day. That technology can recycle practically anything, even low-level radioactive waste, biomedical waste and chemical/biological weapons. The plant produces more electricity than it takes in, and is much less polluting than traditional incinerators. Also, the ‘scrubber’ technology is getting better so even the CO2 produced isn’t THAT bad, and we’re getting better at recovering it before it’s released. Plus, plasma gasification plants are almost always ‘spun’ as super-environment friendly, so the business has more incentive to install the newer, more expensive scrubbers or other recovery systems simply for PR reasons. The plants can be ‘tuned’ to create building materials(think inert concrete with less CO2 emissions) , scrap metal, and a few other things depending on what you ‘feed’ it. I’m not a big ‘enviro-wacko’, but do what I can and we all like trees and critters. Got a landfill down the street from me.You can see if from a nature trail, go figure it doesn’t even look or smell that bad..mostly looks like a golf course..with heavy machinery. But it’s one of the ‘good’ ones. They sort regular trash for metals, ‘mine’ the methane emissions for power, and of course have a regular recycling facility for those who do separate their trash. But, even as lazy as I am, I can still write my representatives and inform them of these new technologies, encourage them to grant permits and the usual environmental tax-breaks to companies that want to build modern facilities, or add modern technology to existing facilities. Or write to the companies themselves, or news agencies, or anyone who’ll listen and has the power to get it done. Technology is a weird and wonderful thing, the cause of, and now..eventually..the solution to many of our problems. Definitely still with you! Thank you for a really comprehensive and very helpful post! I wish there was more information like this around. better as it leads to less waste and need less energy. hey, this is fantastic! extremely helpful for the eager-but-uninformed. just so you know, i included it on my own blog, with credit to your site, of course. i work at rider university in new jersey, which has recently made the commitment to go green. through this blog and other efforts, we’re working on controlling the amount of waste, particularly paper, that occurs on campus. so thanks for your tips! oh yes, here’s the link to our blog, should you be so inclined to visit! Hi i had a question for you. How does recyling hurt the environment? 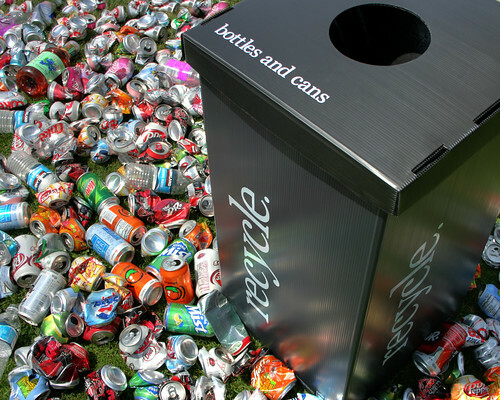 And do the benefits of recycling outweigh the costs?…thanks! too many friggin’ rules for recycling. it’s as if i need a certification just to be a nice little eco-citizen. hell, what is anyone doing about telling kuwait to stop burning off all of their methane and contributing to global pollution? ah ha…nothing…just what i thought. there’s so much pressure for kyoto protocols and all that stuff on industrialized countries, how about holding ALL countries (even the third world and sandbox countries) to pollution standards? i can lower my emissions more if i sell my car than worrying about a friggin’ water bottle. but i would most certainly be in the minority in my area. WOW!! i didnt know half of this. I learned a lot.